DRF7020D27-A2 is a 500mW RS485/TTL interface radio modem transceiver module designed for operations in the unlicensed ISM (Industrial Scientific Medical) and LPRD bands. 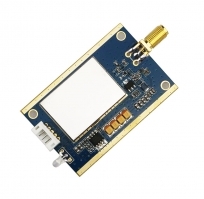 GFSK (Frequency Shift Keying) modulation/demodulation, multi-channel operation, high bandwidth efficiency and anti-blocking performance make DRF7020D27-A2 modules easy to realize the robust and reliable wireless link. 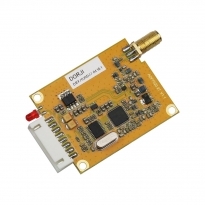 DRF7020D27-A1 is a 500mW RS232/TTL interface radio modem transceiver module designed for operations in the unlicensed ISM (Industrial Scientific Medical) and LPRD bands. 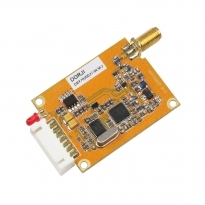 GFSK (Frequency Shift Keying) modulation/demodulation, multi-channel operation, high bandwidth efficiency and anti-blocking performance make DRF7020D27-A1 modules easy to realize the robust and reliable wireless link.